Man, I need to dust off my pedal board. This is it. My last pedal. The flanger is simultaneously my favorite and least useful effect. This was a pedal I acquired about 15 years ago when I was doodling on guitar. I had the space left on the pedalboard to try it out. So I did. I don't play any Tool, which is what immediately springs to my mind when I think of flanger on bass, so I guess I'll have to write a song just to have an excuse to really use this bad boy. It has four controls: Manual controls the delay of the flange (not sure why they didn't just call it delay), Depth controls the range of the flange, Rate controls the speed of the oscillation and Res is like a gain control for the flanging effect. The controls are very responsive, allowing you to generate a whole range of sounds. Like all Boss pedals it is built like a brick. If you are thinking about picking one up, check out the manual here. I checked eBay, and it looks like these are now considered a "vintage" and therefore highly sought after pedal. The prices ranged from $80-$150, but I imagine if you could buy one from an actual person as opposed to an eBay store, the cost would be somewhat less. yep true...boss flanger werks well with bass. so as dano fab flange but it is less useful actually. Would you say out of any effects pedals this is the way to go? Do you mean any effects pedal at all, or just flangers? 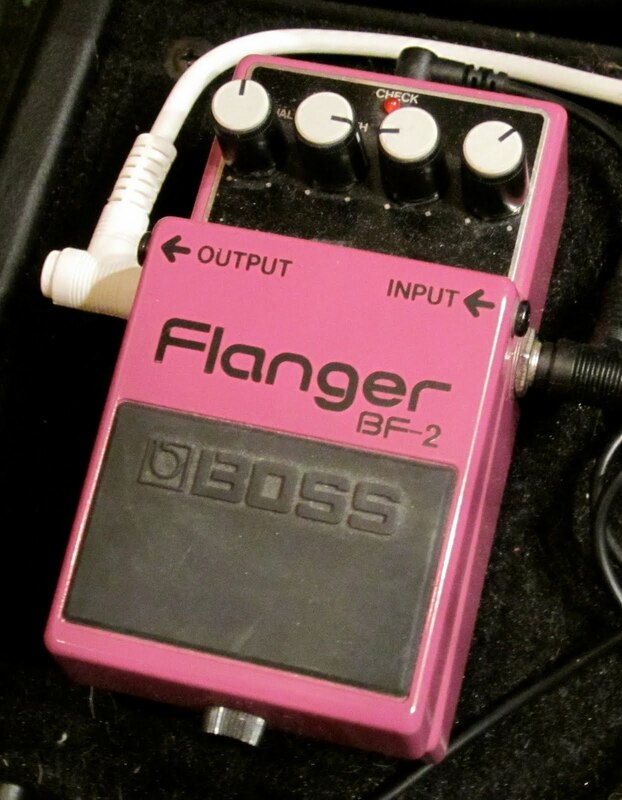 The BF-2 is the flanger I had on hand. I like it. It seems like a lot of other people like it, but I have by no means done any exhaustive research on flanger effects.